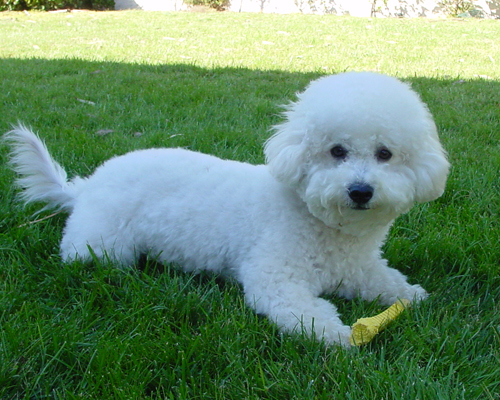 Born approximately December 18,2007, Chipper was a stray found in Riverside County and turned in to animal control services. 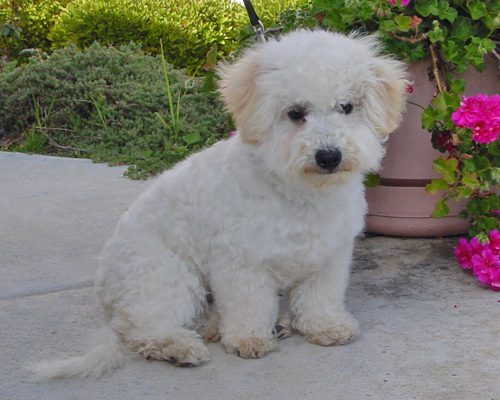 He was one sick puppy, with 2 ear infections, kennel cough and pneumonia. 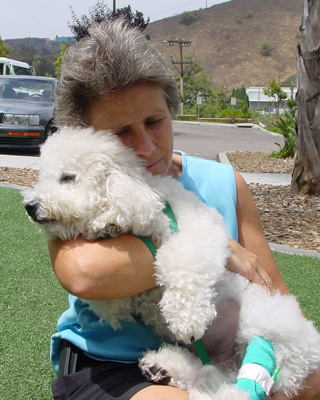 The shelter staff did not have the means to try to keep him alive so they called Bichon FurKids. 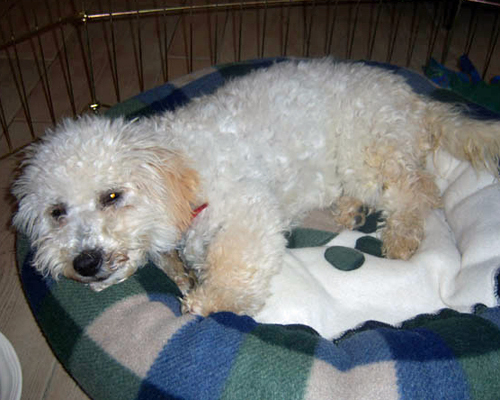 We immediately transported him to a local veterinary hospital and within a week, he was able to go to foster care. 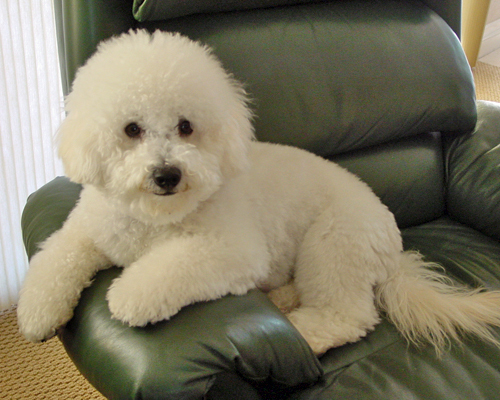 Chipper had a full recovery and became a foster ambassador for Bichon FurKids, helping to foster and guide over 30 rescued bichons in 2009. 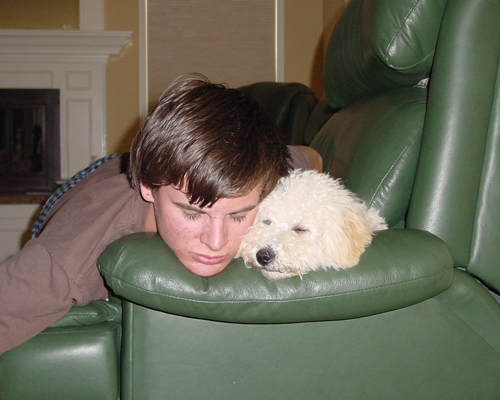 Unfortunately, in July of 2009, at only 18 months old, Chipper was diagnosed with some immune system deficiencies. 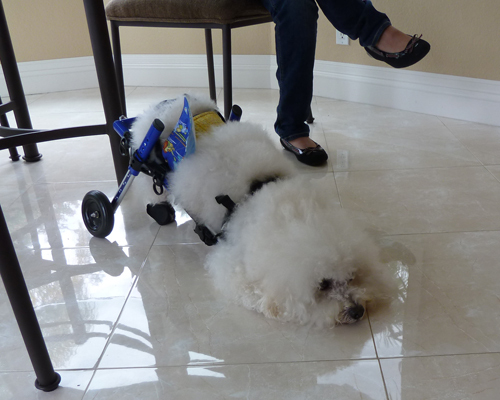 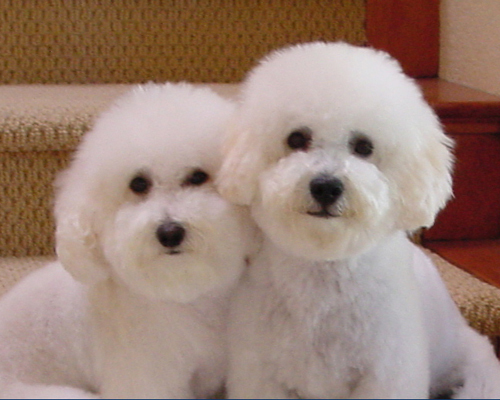 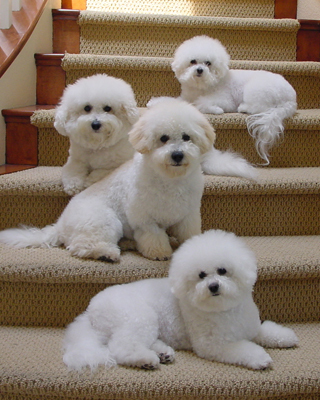 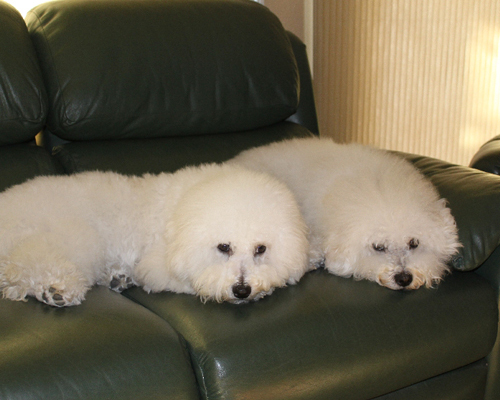 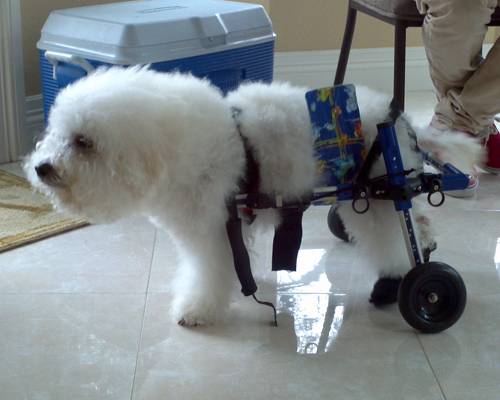 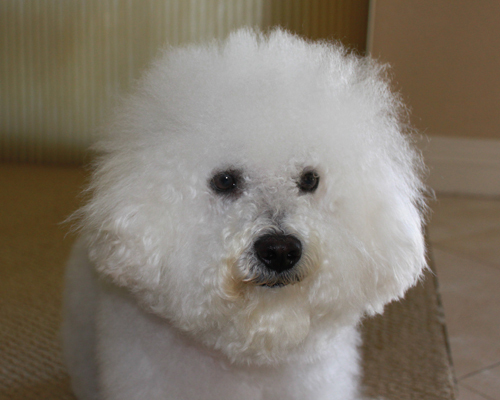 Once again, Bichon FurKids came to his rescue and he survived a near death experience. 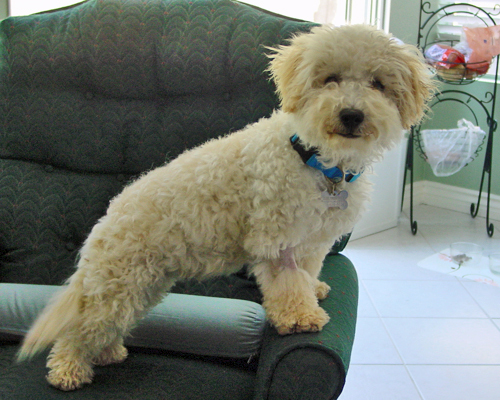 However, due to his condition he was not adoptable and he officially became the newest member of the Gibb pack. 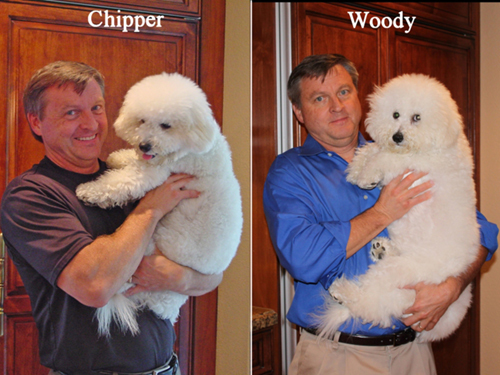 Nine years later, Chipper’s road to recovery isn’t pretty. 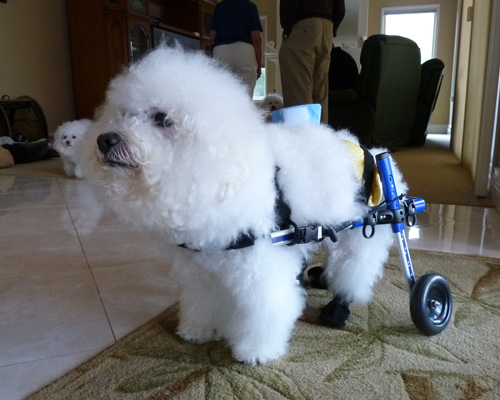 He wobbles to maintain his balance, his coat is virtually gone and he is covered with warts. 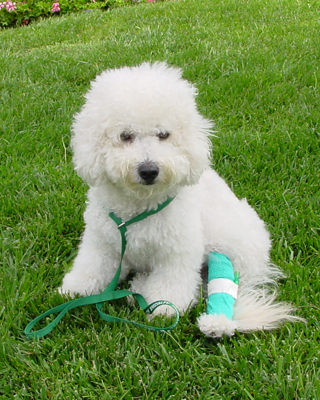 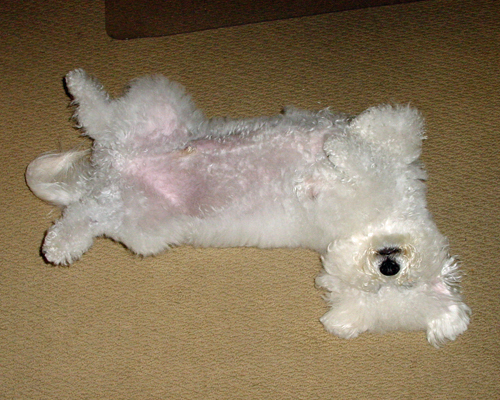 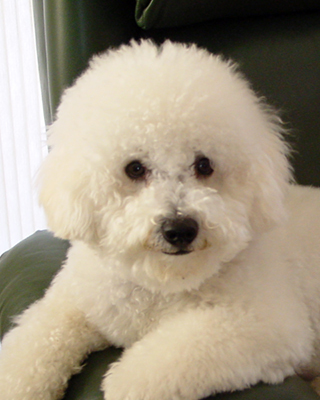 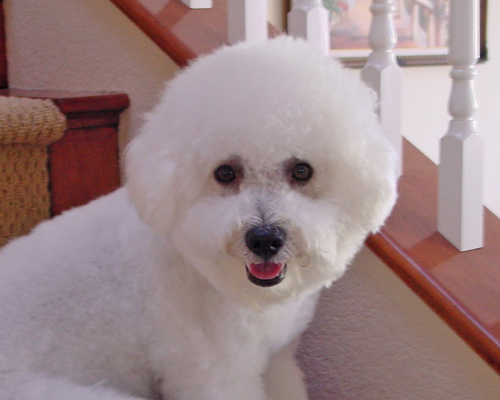 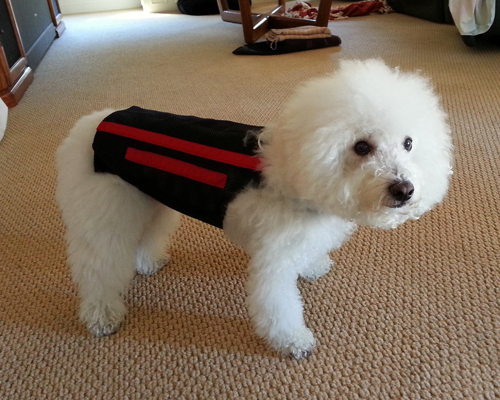 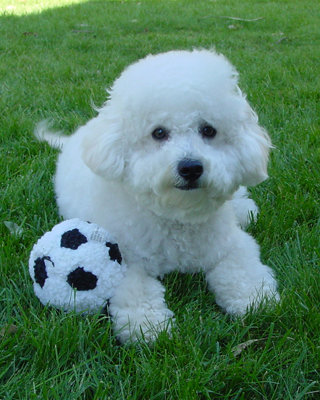 In spite of his “look”, his health is stable and he is the happiest bichon boy you will ever meet. 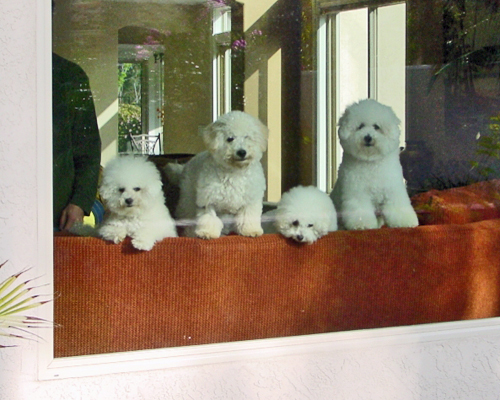 We can no longer foster bichons since they would put Chipper at risk, but he continues to be a “big brother” to the litters of puppies we produce. 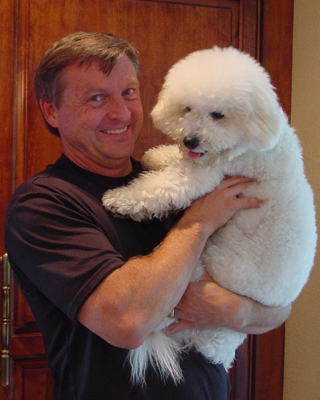 Chipper just loves the babies.